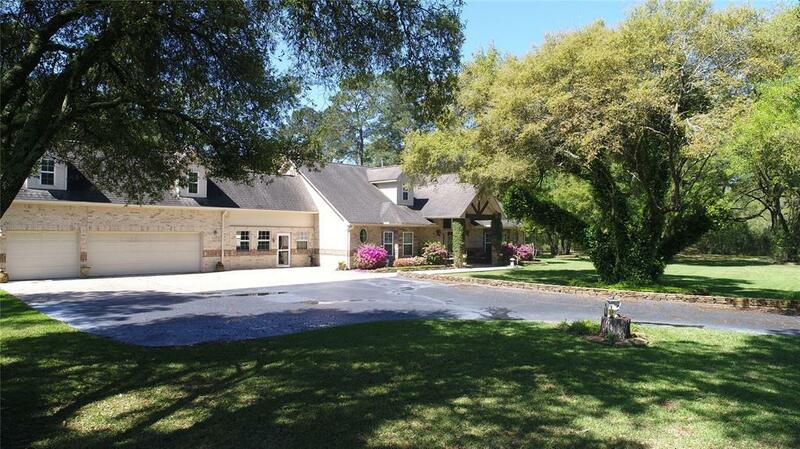 Incredible 5 Acre Estate located in the prestigious gated Century Oaks. 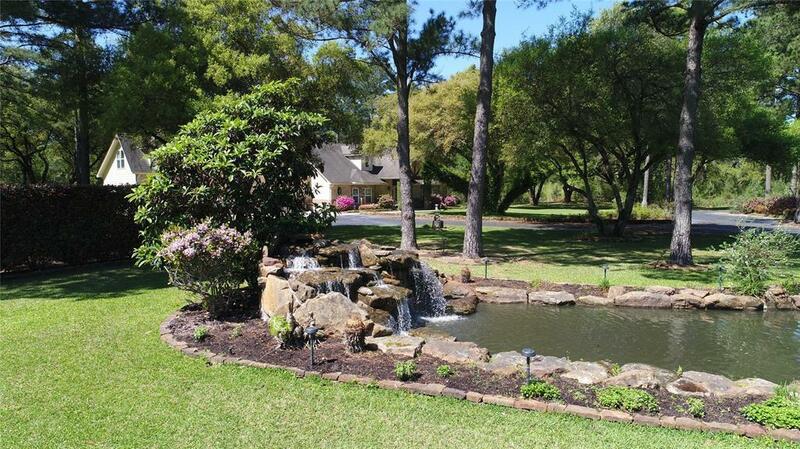 You are welcomed with a canopy of large oak trees as you drive in the asphalt road that winds around the stocked pond with a gorgeous waterfall. As you walk into this one-story home you are greeted with a beautiful stone wall entry. 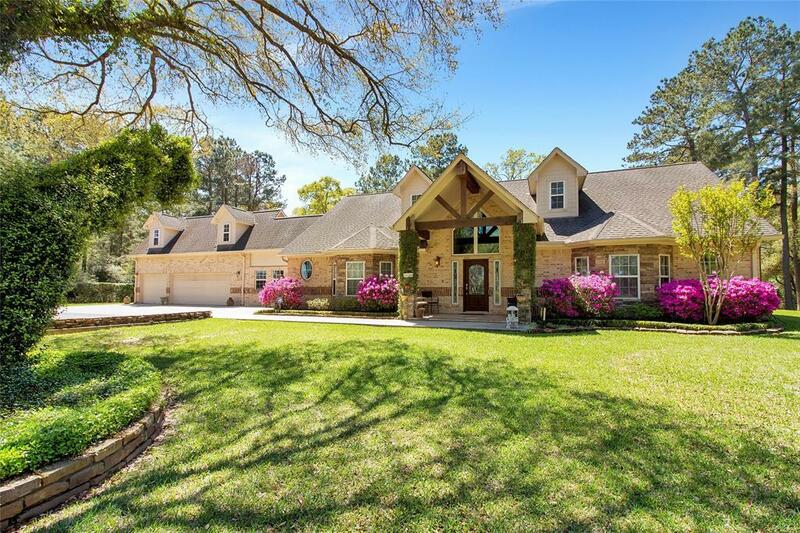 This home offers 3 bedrooms with study, formal dining, living, several custom built-ins, enclosed porch, game room and a very large master suite. The kitchen offers Viking Appliances, granite counter-tops and a large island kitchen with breakfast bar. Between the living and dining you will enjoy a double-sided stacked stone fireplace. Other highlights include guest quarters above the garage with an efficiency kitchen. Well is 400 ft deep and there is a full house Genset generator that has its own propane tank. 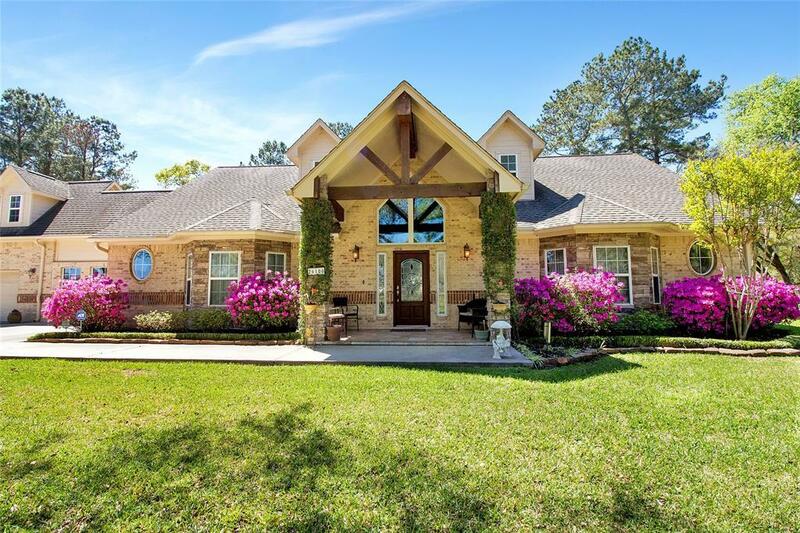 There is a 5 horse power pump to run the 13 sprinkler heads to support magnificent landscaping which is the focal point of this beautiful home. Did Not Flood in Harvey.